One of the biggest home design trends we’ve seen this year is the rise of contemporary rustic chic. 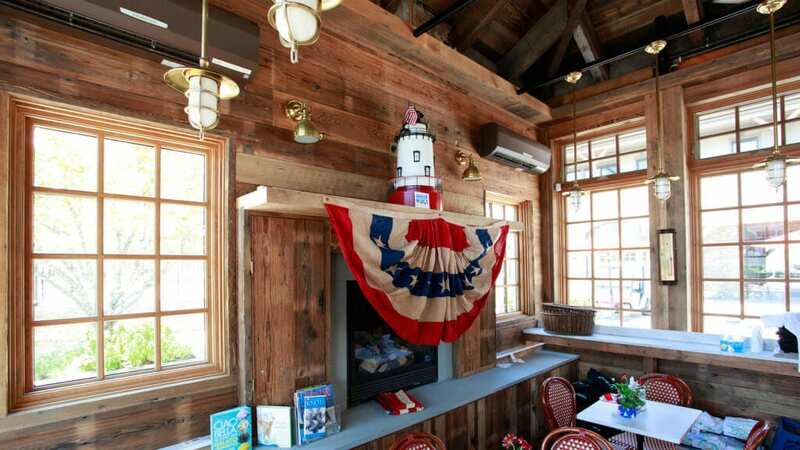 Repurposed exposed wooden beams, refined mahogany decks, and post-beam style timber frame homes have become increasingly popular among homeowners. Over the last 40 years, we’ve learned how to incorporate refined rustic elements in countless luxury home improvement projects. If you’re looking to combine upscale elegance with a contemporary, rustic feel in your next renovation, look no further. 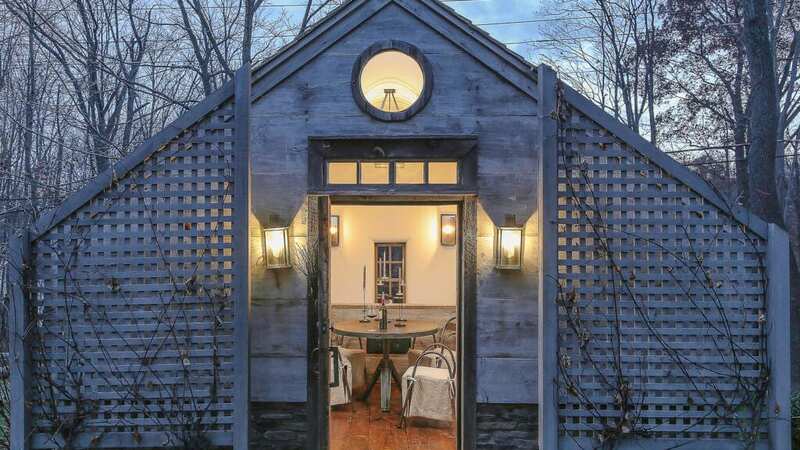 The original root cellar was transformed into a custom wine cellar, and the central cottage space was renovated as a sophisticated, rustic tasting room—both using reclaimed barn siding, and finished with wood shake roofing. We had a client in Pound Ridge, NY who wanted to build a spa-inspired bathroom in their home. We put in a glass-encased luxury rain shower with a refined stained oak siding wood-paneled interior to give the space a soothing, natural feel. 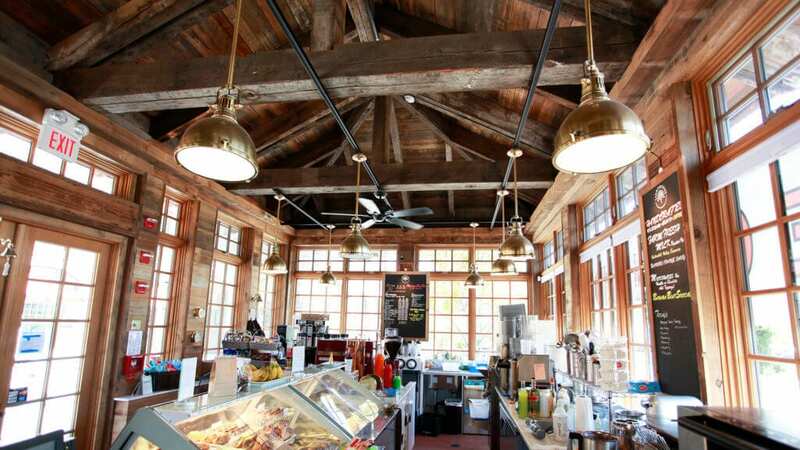 We also did a complete kitchen renovation for Lighthouse Ice Cream Kompany at Hudson Harbor, a gourmet ice cream and coffee shop in Tarrytown, NY, that included reclaimed wooden walls with period pendant lighting. When it comes to historic home renovations, we work hard to preserve precious, irreplaceable aspects of the structure while making significant improvements. 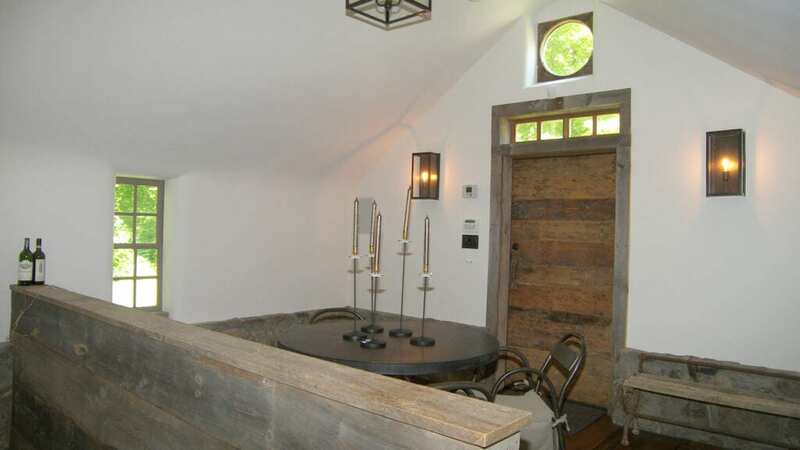 In this Pound Ridge, NY project, we built the ceiling using reclaimed barn siding. For the fireplace shelving unit, we used a reclaimed oak beam from an old barn on the property. 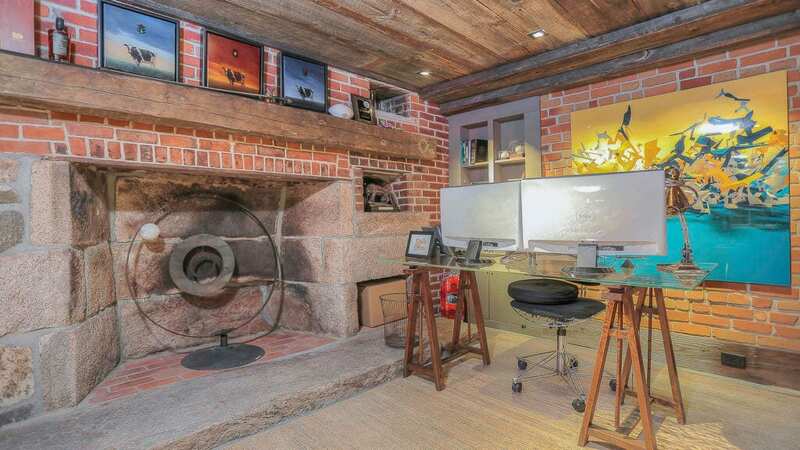 The rustic wood features stand out in contrast to the exposed brick and Connecticut Fieldstone wall, giving the space a refined feel. 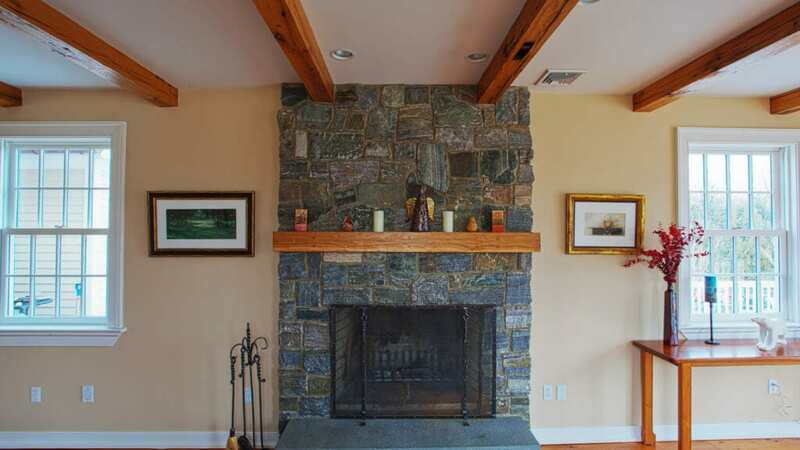 In Katonah, NY, we framed this Adirondack Ashlar Stone fireplace with reclaimed oak beams and double-hung windows to balance out the colorful, hewn stone and beams with contemporary elements and natural light. 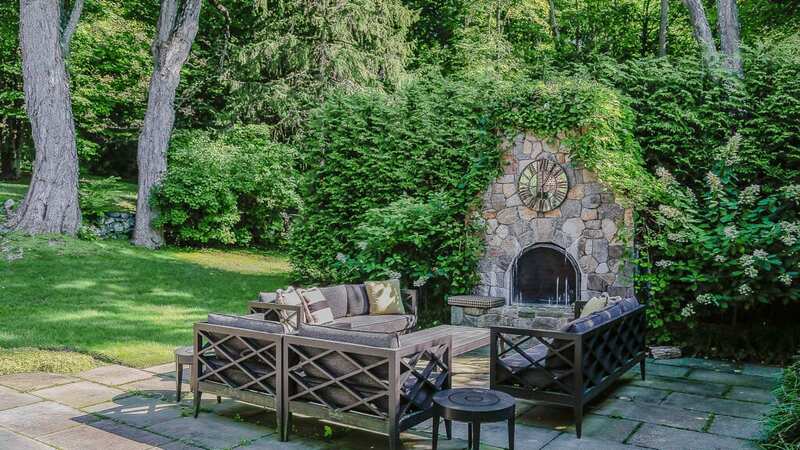 We brought the rustic chic design feel to the exterior of this classic Colonial in Greenwich, CT. 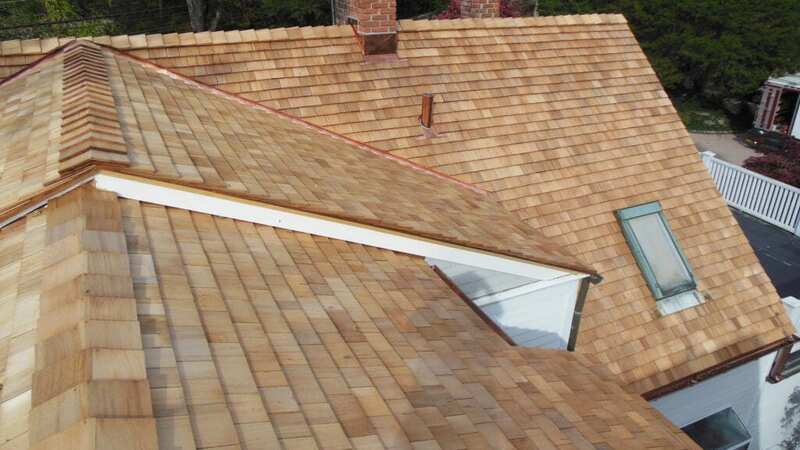 The Connecticut Fieldstone veneer chimney and cedar shake roof complement the soothing Aventurine exterior paint and Marvin fixed glass panel windows. This was one of our favorite projects. 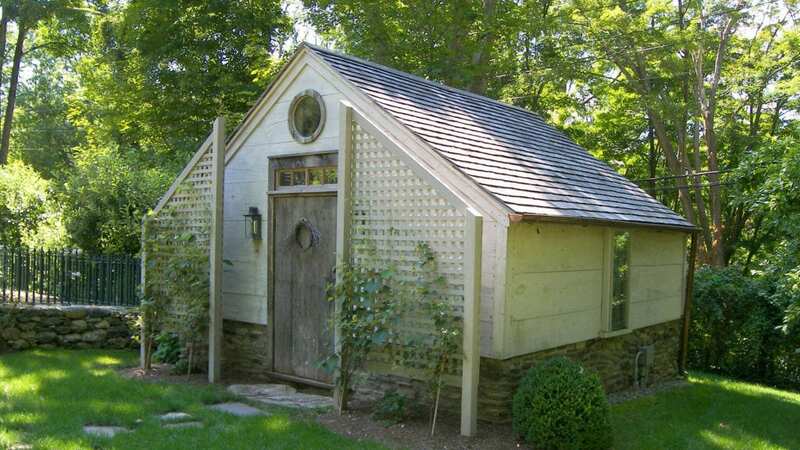 We built this custom timber frame pool house in Katonah, NY using a traditional post-and-beam style construction design. The mortise and tenon joints and the arched supports create a solid foundation that allows the construction to support itself. The concrete slab floor with radiant heat adds to the rustic feel, while the refined Northern White Pine wood balances out the space. If you’re planning on installing a deck or patio, consider choosing mahogany for a quality construction with a clean finish. It’s one of the finest decking materials because of its high density and attractive finish. Plus, there are countless shades ranging from light blonde to a deep, rich red. 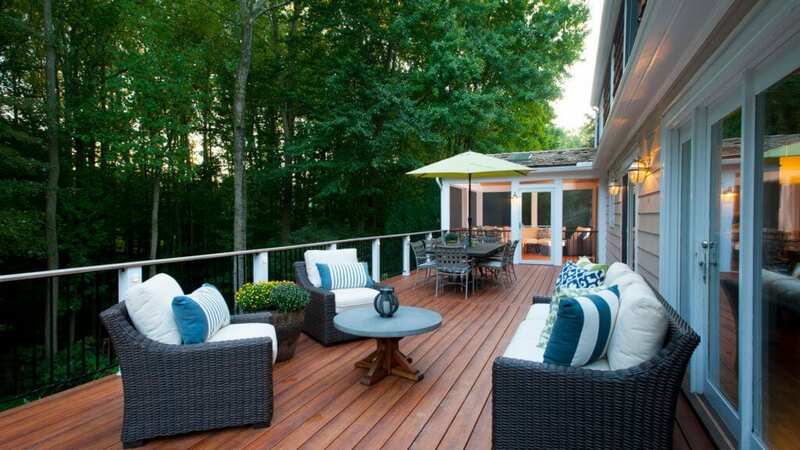 In this New Canaan composite decking design, the refined mahogany lends a refined natural feel bordered by the modern stainless steel cable rail system. 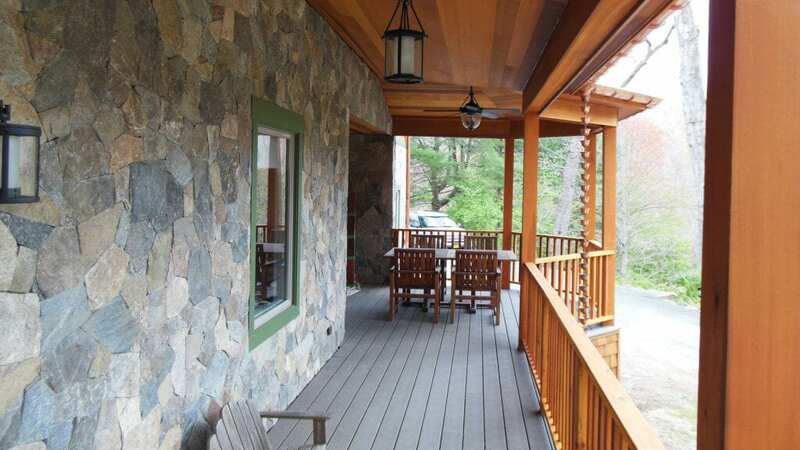 On this Pound Ridge, NY deck, we switched up the material design. The composite decking floor and Liberty Thin Veneer Mosaic siding complement the rich, refined mahogany ceiling. We’ve talked about bioliphic design before—the modern approach to finding a way to connect your living space with the natural environment. 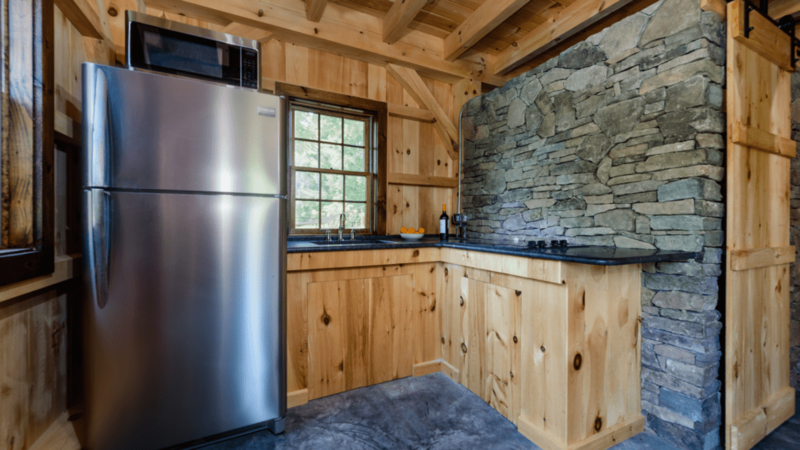 If you’re looking to embrace an upscale rustic feel, consider embracing your natural surroundings in your home renovation project. 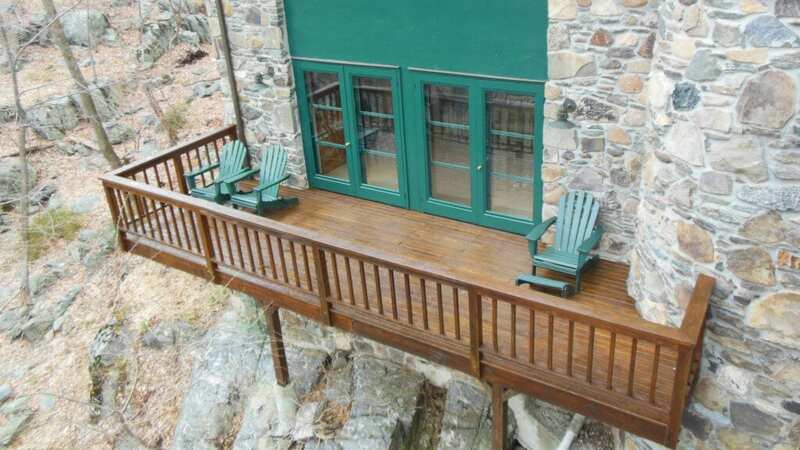 In this Waccabuc, NY project, we specifically built the mahogany balcony to span out over the natural rock face below. 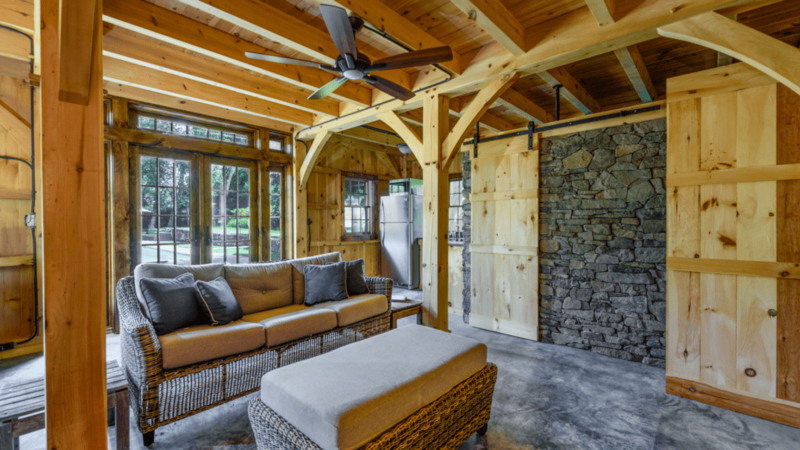 The dark green French doors complement the natural wood and Connecticut Fieldstone siding. 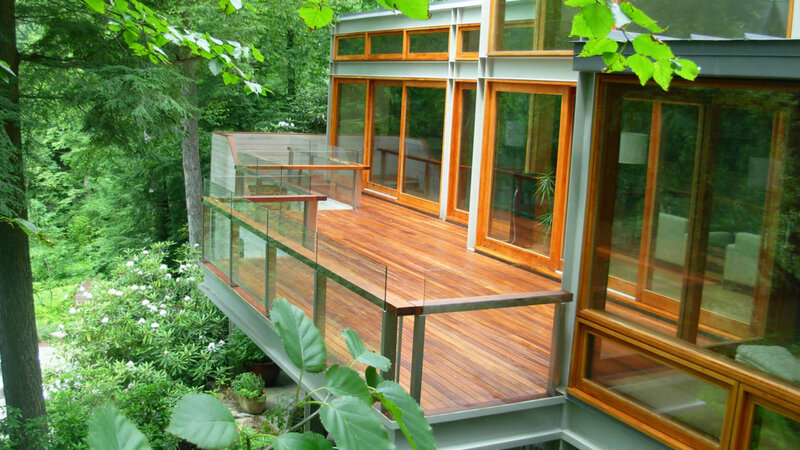 In Pound Ridge, we built this stained Ipe deck with open glass railings and floor-to-ceiling windows overlooking the tree canopy. No matter how you plan on balancing refined rustic designs with a modern luxury feel, the best advice we can give you is to trust the professionals. We’ll take your design ideals and home improvement goals and create one-of-a-kind renovations that will completely transform your living space. 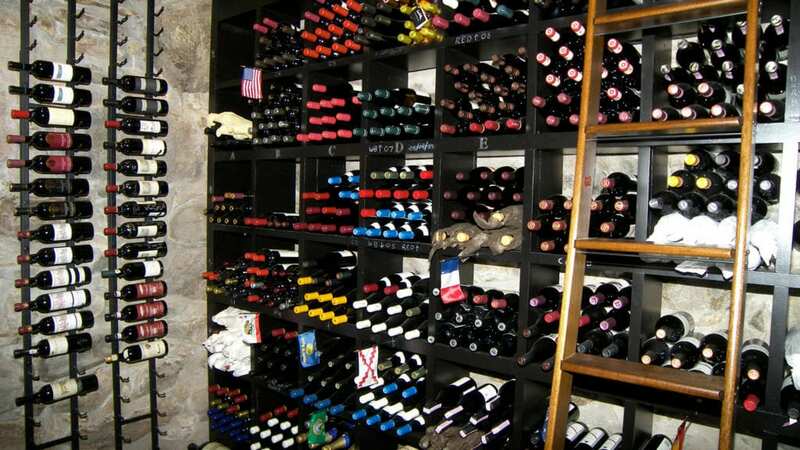 Ready to start your next renovation? Whether or not you’re considering an upscale rustic renovation, we can take your home improvement project to the next level.